I can't believe it took me this long to use this bundle, Lilypad Lake. From the moment I saw this stamp and die set I knew I had to have it! A challenge came up to make a water themed card and I knew this would be the perfect one to use!! The oval is the largest of the Stitched Shape Framelits. 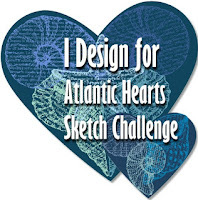 I sponged on some Pool Party and Coastal Cabana inks for a background then stamp the "waves" twice in Bermuda Bay. The egret and water lily were stamped in Memento Tuxedo black and colored with Stampin' Blends. The papers are from the Tropical Escape 6 x 6 pack -- I put some of the scraps to good use!! 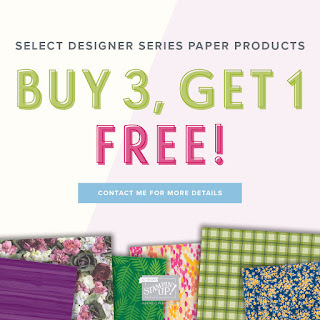 Speaking of pattern paper, the Buy 3 Get 1 FREE sale is still going strong. 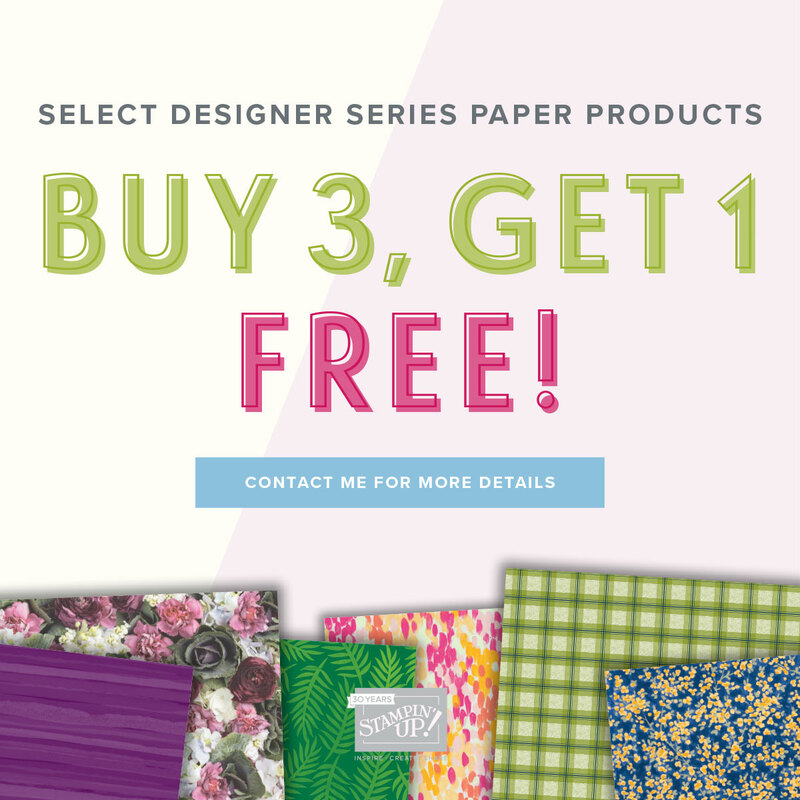 If you're a paper hoarder like me, now's your time to stock up on some beautiful papers!! You can find all the papers included in this promotion HERE.